Proper Airflow Management reduces energy, frees resources & saves money. Being a well-established organization, we offer Soft Hardwall & Hybrid Systems (Combination of Soft & Hard ). 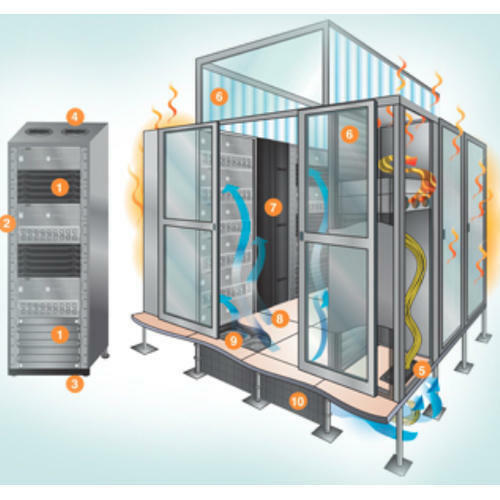 are engaged in offering a distinguished range of Data Center Airflow Management System. Cold air is wasted if not managed appropriately. Proper isolation is critical to cooling effeciency. Established in the year 2004, AET Flexible Space India Private Limited is engaged in manufacturing and wholesaling of Blanking Panels, Brush Grommet, Air Grille, Cable Management System. These products are extremely admired in the industry owing to their characteristics and low prices. We also provide Computer Room Cleaning Services and Exterior Hardware Cleaning Services.